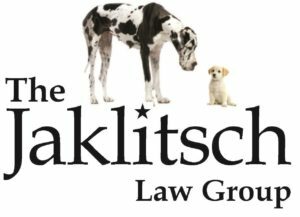 Rick Jaklitsch is a nationally acclaimed Personal Injury Trial Attorney. The BIG DOG himself has seemingly won every possible legal award that relies on the vote of judges who have seen Rick in action, or lawyers who have opposed Rick in court. Rick was one of the youngest attorneys in the country when he was first honored by Martindale-Hubbell with their coveted “AV Preeminent” rating of Personal Injury Trial Lawyers. That honor put Rick in the top 1% of lawyers nationwide, and he has won that prestigious recognition every year for the past 22 years. Martindale-Hubbell calls this AV rating “the pinnacle of professional excellence earned through a strenuous peer review rating process. It is the highest possible peer review rating in both legal ability and ethical standards”. Rick has been honored by Who’s Who In American Law for over 24 years. He’s been listed in the Bar Register of Preeminent Lawyers every year since 1995, and was one of the very first lawyers in the entire country to obtain a perfect 10.0 rating for legal ability by the online rating service of AVVO.com. Rick has won “The Best Attorney Award” from Rue Rating’s Best Attorneys of America, and is prominently listed in the publication “Best Lawyers in America”. The National Trial Lawyers Association has listed Rick repeatedly as a Top 100 Lawyer, and the American Trial Lawyers Association has listed Rick as one of their Top 10 Lawyers for 2010, 2011, 2012, 2013, 2014 and 2016. The Trial Lawyers Board of Regent’s prestigious “Litigator Award” was awarded to Rick and The Jaklitsch Law Group, more than 1 million other lawyers who were considered for that amazing award. Rick is also a member of the Million Dollar Advocate Forum and the Multi-Million Advocate Forum, which are called “The most prestigious group of trial lawyers in the United States”. Rick has been honored with a National “Top Ten” Ranking, every year since 2013 by the Nation’s Premier Group of Personal Injury Lawyers, the National Association of Personal Injury Attorneys, and won The Daily Record’s preeminent legal honor, its Leadership in the Law award. Rick has handled hundreds of cases resulting in six figure and higher awards for his clients, and has handled both multi-million dollar injury cases and has sued insurance companies for as little as $23 in unpaid personal injury protection coverage on behalf his clients. No case is too big or too small. Rick is licensed to practice in every single State Court in all 24 jurisdictions in the State of Maryland, all Maryland Federal Courts, as well as the United States District Courts in both Maryland and Washington, D.C.
Rick has been honored by Super Lawyers Magazine in both Maryland and in the District of Columbia every single year since Super Lawyers began rating lawyers in those jurisdictions, and won the “Top Attorney” Award in Washington, D.C., and the “Top Attorney” Award in the State of Maryland, and has been decorated as a top Personal Injury Trial Attorney every single year by What’s Up Magazine. Rick has also been repeatedly honored for his non-legal work in our community. Rick won the Prince George’s County Bar Association’s esteemed President’s Award for “outstanding contributions to the Bar and to the community,” and was named a “Make-A-Wish Star” by the National Make-A-Wish Foundation for Rick’s tireless fundraising on behalf of Make-A-Wish, including raising the funds for eleven children to have their dying wish granted. Rick has won the Terrapin Club Lifetime Giving Award, and sat on the Terrapin Club Board of Directors for almost 10 years. He served as President of the University of Maryland Terrapin Club, which provided scholarships for more than 700 athletes in 27 varsity Division 1 sports. Rick raised millions and millions of dollars for University of Maryland athletes before he was appointed by Head Coach Randy Edsall to serve as President of the Maryland Gridiron Network, the fundraising arm of Maryland football. Rick then raised millions and millions of dollars on behalf of that organization and those Maryland athletes. He sat on the Board for Archbishop Spalding High School and on the Board of Directors for the Maryland State Athletic Hall of Fame. Rick was appointed to the Judicial Nominating Commission by Maryland Governor Robert Ehrlich and has sat for numerous years on the Maryland State Bar Association’s Judicial Selections Committee, which interviews judicial applicants from every jurisdiction in the State of Maryland. Prior to being a lawyer, Rick won the “Outstanding Leader of the Year” Award at the University of Maryland while an undergraduate, was honored by Who’s Who, and by Mortar Board, and was honored by Omicron Delta Kappa, the National Leadership Honor Society, which he led as President, and which Rick has continued to serve as a voting Alumni member for the past 36 years. Despite all the legal awards, when you walk into Rick’s office, the most prominently displayed awards on his bookshelves include the “Numero Uno Award”, which was given in appreciation of Rick’s “outstanding ability, sportsmanship, and teamwork displayed” by him during the MSA “A” Conference Lacrosse Championship season, and Rick’s “outstanding contribution to that championship team’s success,” as well as his numerous Golf Championship Awards from the Maryland State Bar Association, the Anne Arundel County Bar Association, the Calvert County Bar Association, and the Prince George’s County Bar Association, which proudly sit next to his Maryland State Championship Softball trophies, which his team won four times. Rick’s practice is limited 100% to handling personal injury cases caused by the negligence of others in car, truck, and train crashes. Rick is a proud member of the Maryland State Bar Association, the Anne Arundel Bar Association, the Prince George’s County Bar Association, the American Trial Lawyers Association, the American Bar Association, and the Maryland Association for Justice. He served for many years on the Board of Directors for the Maryland Trial Lawyers Association. He is married (27 years and counting) to Judge Michele Jaklitsch of the Circuit Court for Anne Arundel County and is the proud father to Drew and David Jaklitsch.